One minor issue, from opening and closing the bonnet/boot, the screen wash pipe snapped in half... kindly replaced the whole pipe whilst i waited. Deposit placed on 992, not sure yet if to collect in the spring or wait for mine to hit 3yrs and collect 1st Sept? I'm thinking 1st Sept, as my 991.2 probably won't incur any servicing costs in the next 9 months. Probably a set of rear boots the only thing. 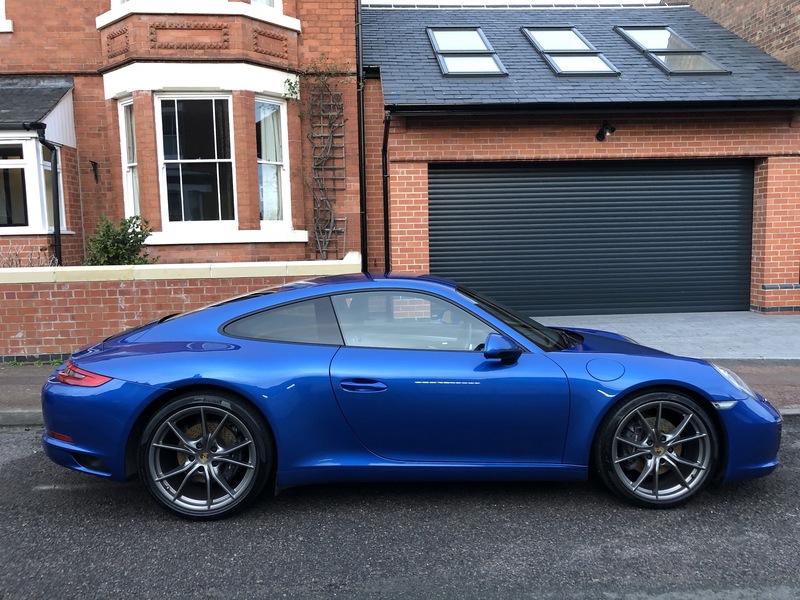 Must admit, from having the 911, honestly can't think of what you could change to for all round practicality, performance, desirability and value for money as a family daily-runner with 4 seats (granted rear are for the kids, but absolutely perfect for age 3 to 11). There are a few near-cars, but they are either not a patch on design quality or on depreciation or running costs and reliability. Ha! Suppose so, but the brakes are seriously good as they are. Have done such a range of driving and brake performance has always been excellent and have great trust in them. I don't think you can order them painted, would be an aftermarket paint job. Ordered the Carrera S for March Build. Decided not to wait for the base Carrera.. why?... well, the cost didn't work out all that different. From purchase price and trade-in part-ex valuation deal, depreciation was £20k. Pretty good residuals for 2.5yrs 50k miles on a sports car. Add a bit for interest payments on the VWFS and thats the job lot for daily driver 911, rain or shine, snow or sun..
Lots of smiles per miles... Bargain 911. Whilst the new S is priced £10k+ more than the new soon to be launched carrera, the residuals GFV works out similarly high, so cost per month for the PCP isn't all that different. Allowing for 3yrs of inflation, it worked out the same monthly payment, for the next 3yrs of 992 Carrera S Daily driver. A few more toys, and extra 50bhp top-trumps stats. Going to be mixed emotion dropping off the 991.2 and picking up the 992. The 991.2 has been truly incredible and chuffed to bits i took the brave pill in buying one as daily hack. Cheaper to run than many other sports cars for sure, imagine the equivalent maths in an M5, an Aston, an R8 etc.!!! Can I ask if you bought the 991.2 brand new? If it’s only lost £20k in 3 years and 50k Miles then that is an unbelievable trade in figure!! Yes, New. 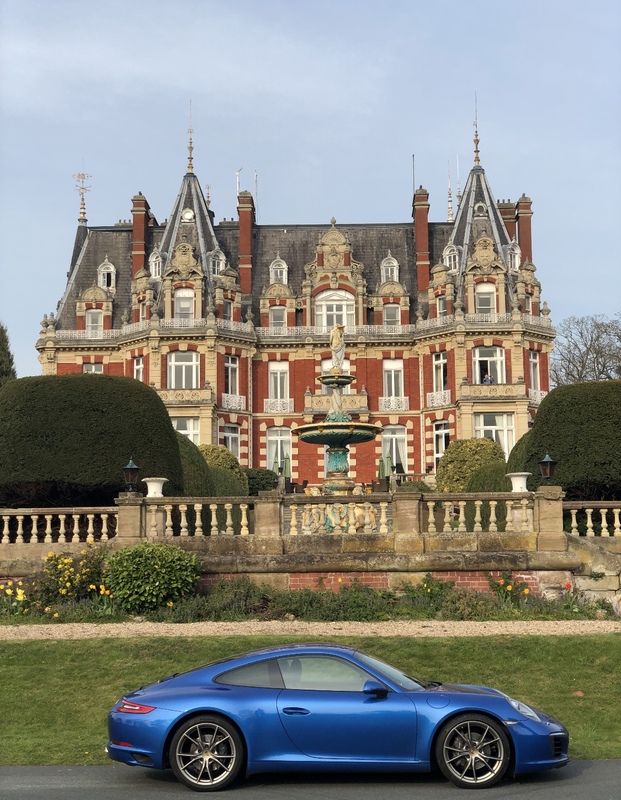 My original logic (and gamble) of buying the 911 was from 2015 report I read that it was one of the least depreciating cars in the country. In comparison to my 6-series and RS6, it proved correct! Am still yet to beat my depreciation personal record of my Audi TT in 2004, lost £250 in 1yr, 20k miles. Effectively a free car for a year! That was a good buy and px. Macan is supposed to be great at present. Did you get a discount on the 991.2 when you bought it? I've spoken to a few people moving from a 991.2 C2s to a 992 and the trade in values have been pretty dire! Yes, did get a discount, which helps. Plus the base Carrera more naturally resilient in residuals with lower original price, so less of a peak to come from with it £10k less in first place for practically the same car. Hence part of my dilemma of current change. One design niggle with the 991.2... with no engine in the front, the screen wash system is a devil for freezing up and takes an eternity to thaw out. You would think with these sold all around the world, this issues would have been designed out in some way. Trace heating or something similar. 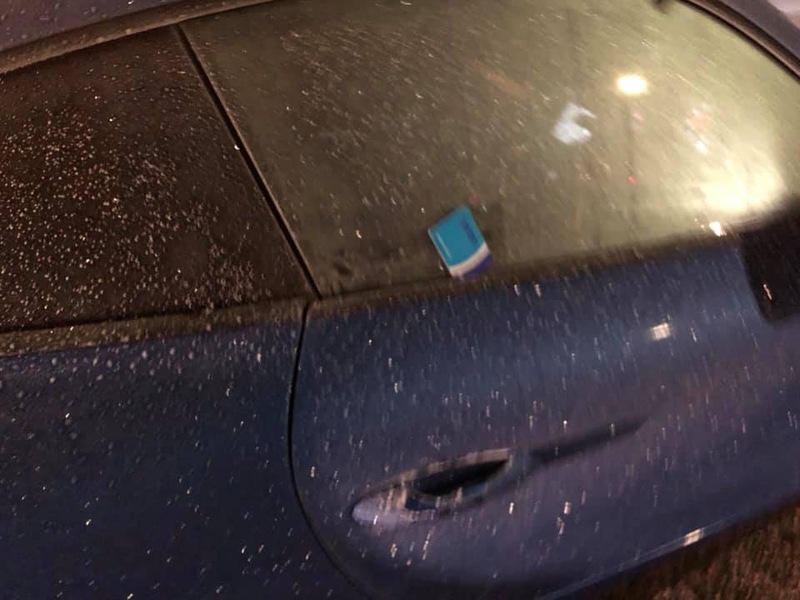 Use Gummi Fledge on door seals and you won’t need to use your Oyster card in freezing conditions. It’s purely the base of the window that freezes that prevents the glass from dropping by the 2mm to open / close. The magic Oyster card breaks that seal to allow the glass to drop when you open the door. Quick scrub up... effortlessly easy car to clean and still looks like new. Traveling down south today, couldn’t resist taking a photo at the hotel. Gorgeous car. Had such fun on the twisty farm roads today.